Sanmati began her journey with LEAD in the Deshpande Fellowship Program in 2013. Upon completion, she joined the LEAD team, where she holds the position of HR executive LEAD. 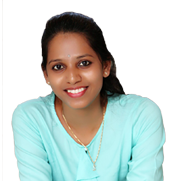 She earned her Masters in Social Work and, during her post-graduation studies, underwent a block placement training in Bangalore where she realized the scope for her skill enhancement. Simultaneously, she was associated with Red Ribbon Club for 3 years. Her goal is to continue enhancing her skills in the H.R. sector.